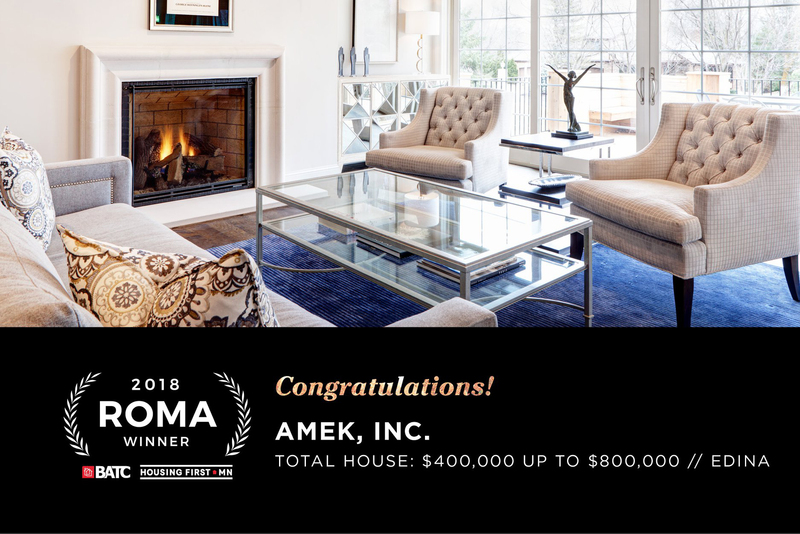 Our AMEK Team won big at Builders of the Twin Cities’ BIG Night on October 25 receiving two ROMA awards. Our Minnetonka kitchen project and our Edina total house remodel were both in categories with a large number of exceptional projects. Judging for the Remodeler of Merit Award (ROMA) is based on meeting clients’ goals, designing creative solutions, overcoming challenges, and creating a beautiful overall impression. These ROMA awards are a reflection of the hard work by our homeowners, employees, subcontractors, and suppliers who partnered together to complete these stunning projects. In addition, some of our vendor partners won Trillium Awards for their support on our projects. 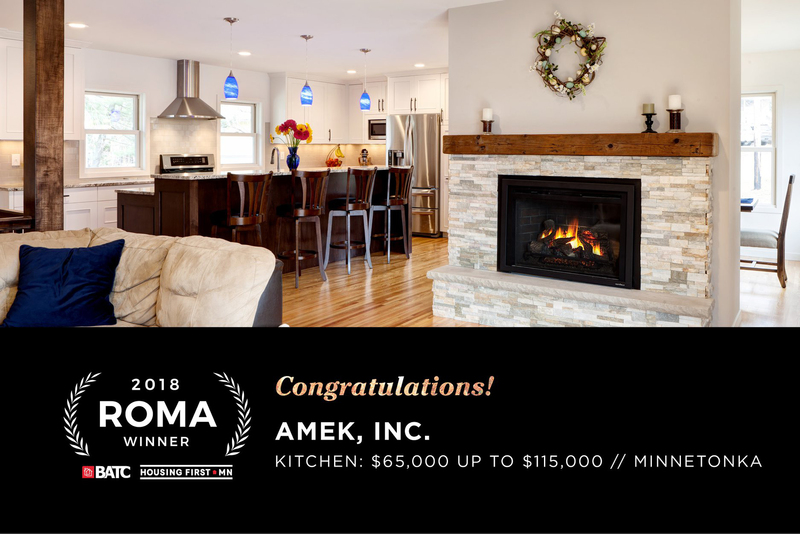 Lampert Lumber was honored along with us for the Minnetonka kitchen while Cambria, Lampert Lumber and Ferguson Bath, Kitchen & Lighting Gallery earned trophies for the Edina whole house project.